Tsai, C. T. L., & Zhou, L. (2017). The history of sports and physical education in China. World Leisure Journal, 59(4), 326-337. Kajanus, A. (2016). Physical education in Chinese schools: role models, repetition, and winning. Education About ASIA, 21(2), 5-8. Bennie, A., Peralta, L., Gibbons, S., Lubans, D., & Rosenkranz, R. (2017). Physical education teachers’ perceptions about the effectiveness and acceptability of strategies used to increase relevance and choice for students in physical education classes. Asia-Pacific Journal of Teacher Education, 45(3), 302-319. Ding, H., Li, Y., & Wu, X. (2014). A review of scholarly and research work in physical education in China during the first decade of the 21st century. Quest, 66(1), 117-133. Kj?nniksen, L., Anderssen, N., & Wold, B. (2009). Organized youth sport as a predictor of physical activity in adulthood. Scandinavian journal of medicine & science in sports, 19(5), 646-654. Shephard, R. J., & Trudeau, F. (2000). The legacy of physical education: Influences on adult lifestyle. Pediatric Exercise Science, 12(1), 34-50. 于红妍. (2014). 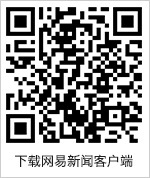 中国学生体质测试的演进历程及阶段特征. 北京体育大学学报, (10), 113-118. 金世斌. (2013). 改革开放以来我国体育政策演进与价值嬗变. 体育与科学, 34(1), 36-41. 温朋飞. (2015). 我国中小学学校体育工作的实效性研究 [D](Doctoral dissertation, 石家庄: 河北师范大学). 安涛, 鲁长芬, 胡海, & 罗小兵. (2015). 英国, 加拿大, 新加坡体育教师培养模式对我国体育免费师范生培养模式的启示. 北京体育大学学报, (10), 103-108. 龚正伟, & 李丽英. (2009). 中国体育教师教育的历史, 挑战与未来. 北京体育大学学报, (3), 77-81. 于素梅, & 毛振明. (2010). 新课改后中小学体育课教案存在的问题. 体育学刊, 1, 016. 彭国强, & 项贤林. (2009). 新中国60年体育教学指导思想的演变及思考. 天津体育学院学报, 24(3), 205-208. 陈宁. (2013). 我国中小学体育教学内容选择的历史变迁路径与特征. 沈阳体育学院学报, 32(2), 116-120. 钱娅艳, 张君, & 张胜. (2001). 中美德日四国体育教学思想的比较研究. 首都体育学院学报, 13(4), 33-37. 盛晓明. (2004). 中国、英国中学体育课程改革与发展的比较研究. (Doctoral dissertation, 北京体育大学).